Michael Haederle profiles the Women in Buddhism Study Initiative being conducted by University of Hamburg. Bhikkhu Analayo spent many years poring through the voluminous discourses of the Pali canon, trying to unravel an enduring mystery. What, he wondered, was the Buddha’s true view on the ordination of female monastics, or bhikkhunis? For followers of the Theravada school, it’s not an idle question. In countries such as Sri Lanka, Burma, and Thailand, where Theravada Buddhism predominates and the bhikkhuni lineage died out centuries ago, male monastics cite scripture to support their contention that the bhikkhuni order cannot lawfully be restored. It’s a sensational claim, one that is currently being discussed in an e-learning course Analayo organized through the Women in Buddhism Study Initiative at the University of Hamburg. More than three hundred participants from thirtyseven countries are studying the approaches of the three vinaya schools to bhikkhuni ordination and learning about strategies women have employed in pursuing their renunciant aspirations in the face of institutional gender bias. The work of Analayo and other scholars, such as Karma Lekshe Tsomo and Petra Kieffer-Puelz, deserves to reach a wider audience, Fancott believes, and that’s where the online course, with its potential to reach people around the world, comes in. Analayo became intrigued by the question of female ordination when preparing his presentation for the 2007 conference in Hamburg. While the order of bhikkhunis dates back to the Buddha’s lifetime, the lineage died out in Theravada countries, in part due to invasions and political upheaval, by about 1000 CE. Because the traditional assumption— based on the Vinaya, the meticulously detailed code of conduct for ordained Buddhist clergy—has been that nuns must be present in order to ordain new nuns, male clergy have taken the position that no new nuns can be ordained. Women in Theravada countries drawn to a spiritual life have had to settle for an intermediate status in which they shave their heads and lead monastic lifestyles but are not accorded the title or respect of a fully ordained bhikkhuni. It’s not just a matter of religious custom, he adds. In Burma and Thailand, government regulations forbid bhikkhus from ordaining women. 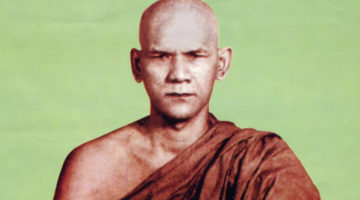 And in 2009, Thai-trained Theravada monk Ajahn Brahmasvamso was severely criticized for ordaining four women in Australia. 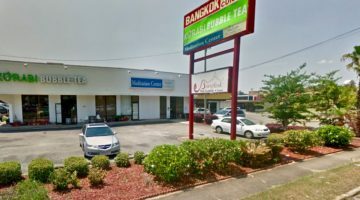 Sri Lankan nuns who have undergone higher ordination are still treated as second-class citizens, Analayo said, unable to obtain government ID cards or study at universities. “Were the ordinations in Bodhgaya legal or not?” Analayo asks. “That was the question I had to answer.” Given the deference accorded to tradition in the Theravada school, Analayo sought the answer from within the legal structure of the Vinaya itself—in particular, a text called the Cullavagga. There, it is related that the Buddha’s stepmother, Mahapajapati, was the first woman to ask for higher ordination. 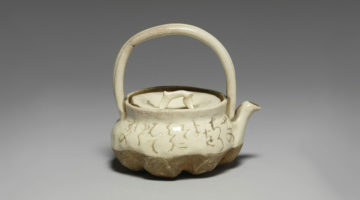 She accomplished this by accepting eight garudhammas, or “principles to be respected,” detailing the relationship between bhikkhus and bhikkunis. When Mahapajapati asked the Buddha about having her female followers ordained, he replied that the bhikkhus should ordain them. But once an order of nuns had come into being in this way, the legal procedure given in the Vinaya was for both orders—monks and nuns—to ordain new nuns. “For the last thousand years, everybody seems to think this second procedure invalidates the first one,” Analayo says. 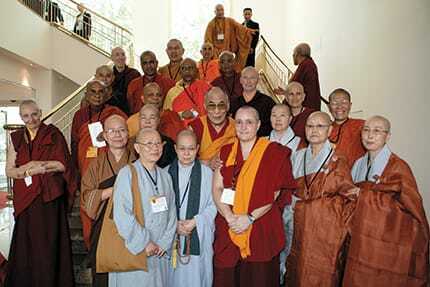 So because there have been no bhikkhunis to take part in female ordinations, male monks have refused to conduct them. But in Analayo’s reading, the two rules are equally valid and are meant to address different situations: when both monks and nuns are available, they should cooperate to conduct ordinations, but where there are no nuns, monks alone can perform the rite. Therefore, Analayo concludes that because the Sri Lankan candidates underwent a second ordination conducted only by monks, the Bodhgaya ordinations were legitimate—even if the role played by the Chinese nuns is negated. Fancott believes Analayo’s work will be central to any ongoing discussion of women’s ordination. “Because it is a topic that can stimulate lively and heated discussion and educate, scholarship is going to be important for any transformative process,” she says. Analayo meanwhile hopes renewed bhikkhuni ordinations will restore the missing branch of the four assemblies that the Buddha described as key to a healthy sangha: male and female monastics practicing together with male and female lay followers.